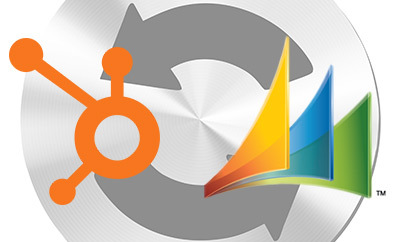 Looking for a hassle-free way to integrate HubSpot with Microsoft Dynamics CRM? In partnership with Scribe Software, LyntonWeb has launched IntegrateHubSpot.com, a low-cost, easy-to-deploy integration solution for inbound marketers using HubSpot and Dynamics CRM. Built on the Scribe Online cloud integration platform, IntegrateHubSpot.com allows companies to purchase, configure and deploy the integration using a self-service portal. IntegrateHubSpot.com is the answer for companies who understand the value of connecting their CRM to their marketing automation system to align sales and marketing teams, but haven't previously been able to afford an integration solution. A two-way sync to keep contacts current in both systems. You’ll also have the flexibility to set exclusion lists and limit records that sync. Closed-loop lifecycle stage and revenue reporting. Take advantage of HubSpot’s powerful reporting and lifecycle segmentation. Sync your leads, opportunities and customers to HubSpot. HubSpot data at your fingertips. All HubSpot analytics fields are automatically installed in Dynamics CRM. A mini HubSpot timeline is embedded directly in CRM lead and contact forms. You're never more than a click away from the contact's HubSpot profile. Scalable and customizable to support businesses of all sizes. Simplicity, ease of use and customization to meet the needs of virtually all customers – from SMBs to enterprises. Integration between CRM and marketing automation systems is becoming a critical enabler for business agility and growth. A 2014 report by MathMarketing revealed that alignment between marketing and sales can help companies become 67 percent better at closing deals and generate 209 percent more revenue from marketing. IntegrateHubSpot.com is helping businesses bridge the marketing and sales gap by offering the most affordable, self-configured integration-as-a-service solution. Sign up for your free 14 day trial at IntegrateHubSpot.com. Or, click here to speak with an expert about HubSpot integration.